Each week we'll feature glimpses into what happens in and out of our classrooms here at school! These will include lessons, activities, centers, and saunters from both our day school and Kids-Niche programs. Beargrass has been giving back to the community by volunteering at the food bank! 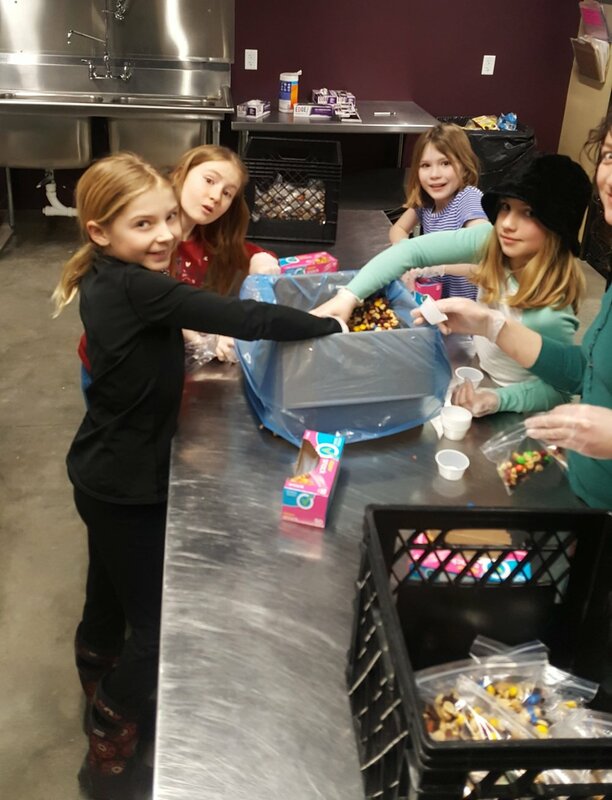 The 4th and 5th graders have taken two trips there this school year and have helped bag trail mix, potatoes, and pasta from bulk packages to smaller bags for customers. We bagged up almost 400 lbs. of potatoes! A workout and volunteering all in one. Through their time at the food bank, Beargrass has learned about how the community supports those in need by donating time and food items, the food items being available to anyone who walks through their doors. Learning about Missoula through volunteering helps build community and connects students to the place we live.